Nov 6 This is the only destination in the world you can actually "feed the bears"
It’s not often I stand in the middle of a sprawling enclosure in the jungle, tossing buckets of smashed fruits and gruel mere seconds before black moon bears will be set free to roam for food. I know I’m safe (the bears are contained until I’ve returned to the other side of the fence) and even feel inspired, though I know I’m setting the bar high for the rest of the week. 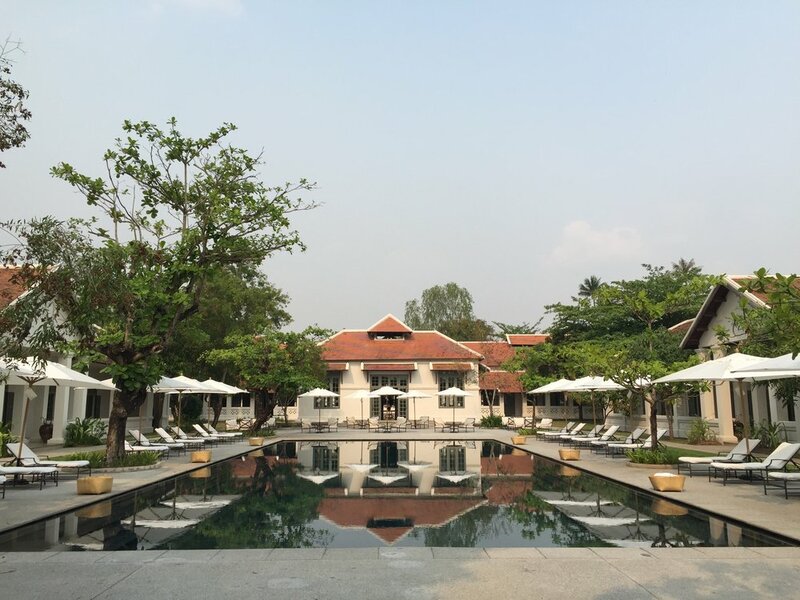 This one-of-a-kind experience is bizarre yet thrilling, far from the ordinary and, for my first visit to Luang Prabang, Laos, it exceeded my expectations. Bears at the bear sanctuary in Luang Prabang, Laos. Laos is a time warp for culture junkies, a natural hot spot for adventurists and, ultimately, an exciting, life-changing destination that hasn’t fully surrendered to mass tourism. “Life-changing” may be a big statement but the attractions are deeply unforgettable. While I stand in the bear sanctuary, hiding bananas in tire swings and slathering honey on tree trunks, I realize this isn’t the typical “take a picture with a tiger” or watch monkeys dress in doll costumes often found in these neck of the woods. There’s no fee, and certainly no animal cruelty. The keepers who run this non-profit give me the cue, and I race behind the gate. Soon, the self-contained natural environment is flooded with 26 towering moon bears, roaming the parameters to scavenge for food. It’s exactly what they would do in the wild, but here, in the safety of the enclosure, they are not being hunted (bear paws are used in soup and local rice wine) or held in captivity as pets (like many Southeast Asian countries, this is still a problem). Protected from poachers who use animals in humiliating circus acts or drug them up for photo opps, these bears are safe, living longer than other bears in the wild. It’s the only ‘feed the bears’ attraction in a world ruled by ‘don’t feed the bear’ signs, truly encapsulating Luang Prabang’s commitment to beauty in the smallest things, and offering a genuine lens into the precious world of the animal kingdom without compromising their lives. Beautiful bears eat more than you would think! Feeding the bears was an awesome moment, and you can read all about my journey through Laos here. Note: You can only have this rare, one-of-a-kind feed the bears experience if you stay at Amantaka. They have a relationship with the bear sanctuary, so they can set it up. Amantaka is GORGEOUS (see below). If you don't stay there, you can still visit the bear sanctuary on your own and watch all the cute bears do their thing, but you don't get buckets of gruel to feed them.